Cut the cost, time, and frustration of manual paper-based processes by our FREE, simple, powerful, and secure workflow system. A role defines permissions for one or more users to perform an action on a document. 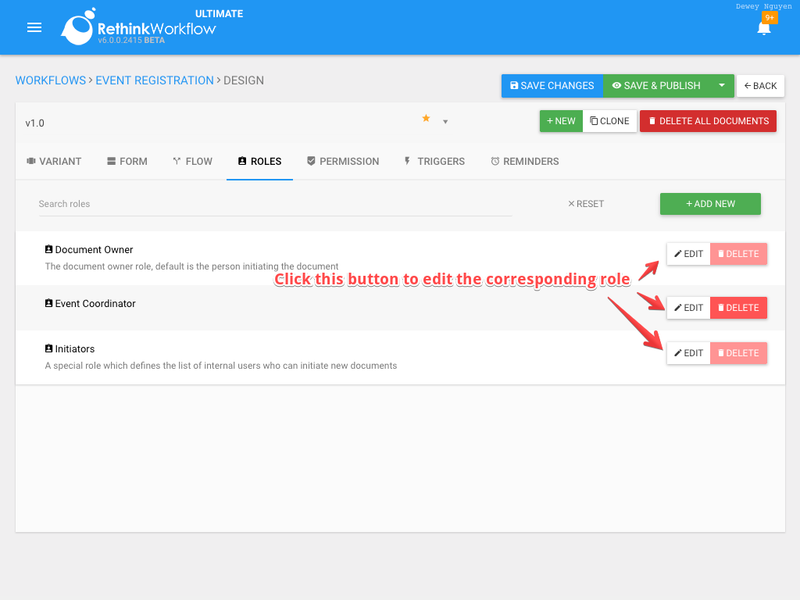 Rethink Workflow provides a quick and easy way to configure roles for your workflows. 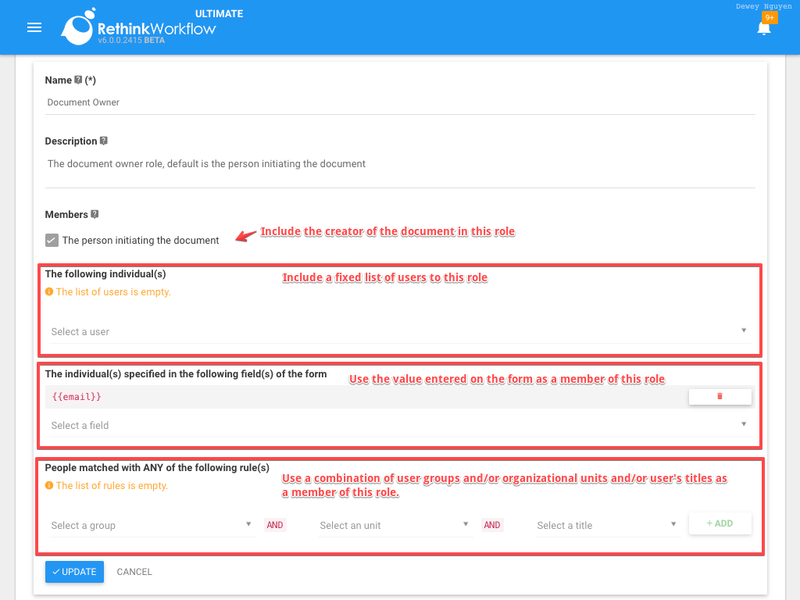 By default, each workflow comes with two pre-defined roles: Document Owner and Initiators. Document Owner is a pre-defined role representing the owner of a document. Most of the time, the person who creates a document out of a workflow plays Document Owner role. 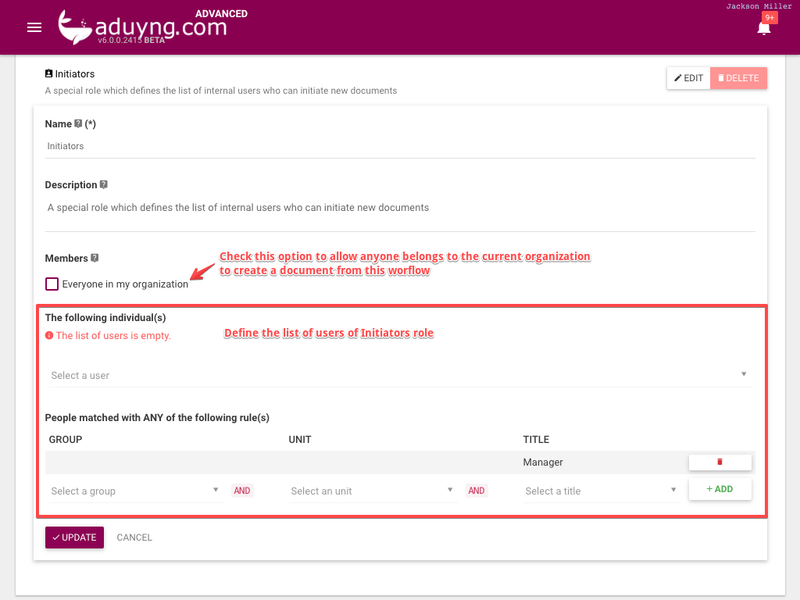 For example, in Timesheet workflow, Document Owner is the employee who creates and submits the timesheet. Document Owner role can also be assigned to a user other than the creator of the document. For instance, in Event Registration workflow, we could use the email address entered to be Document Owner. 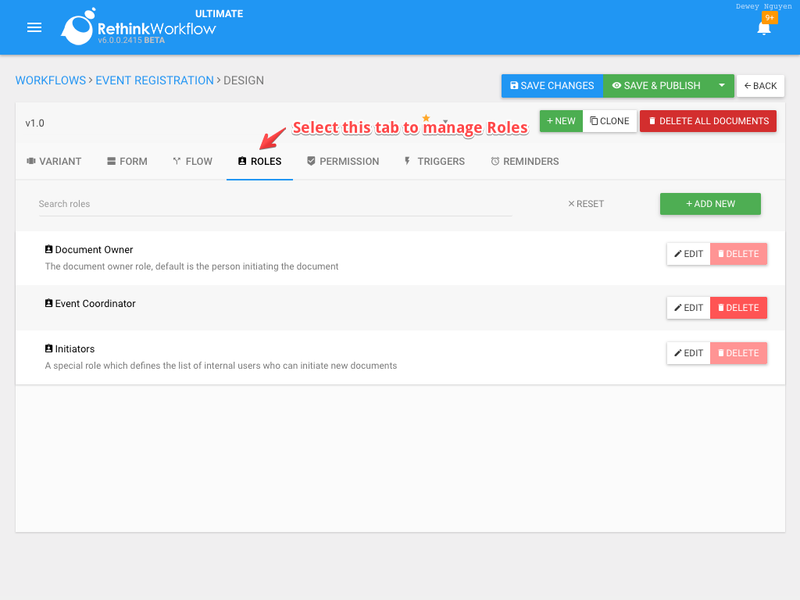 Initiators role is a special role that determines the list of internal users who can create documents out of a workflow. By default, anyone belongs to your organization can create a new document from any workflow, but you can limit this access to a certain set of users only. To create a new role, click on "+ ADD NEW" button. 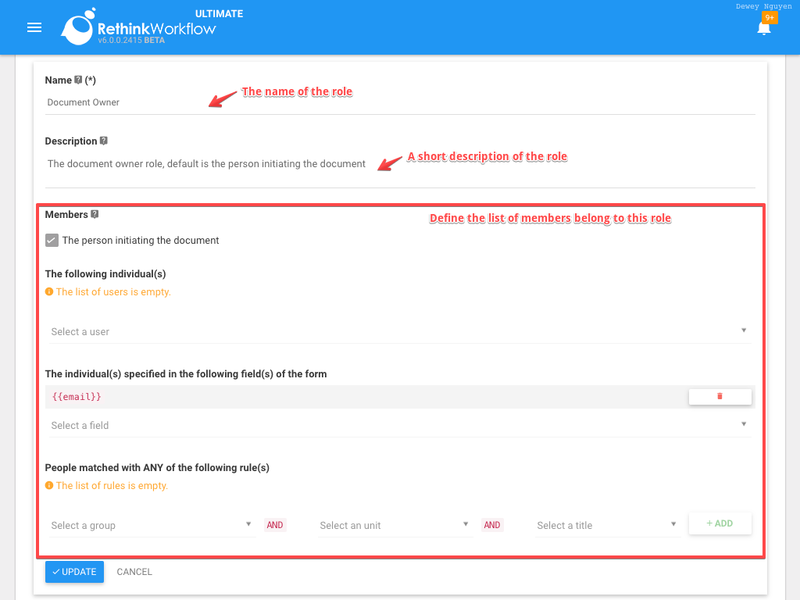 One of the unique features of Rethink Workflow is an ability to use the value of an Email, or User Dropdown field as a member of a role. In Timesheet workflow, the employee can specify the Manager who is going to approve the submitted timesheet. In Letter of Recommendation workflow, the requesting student can select the recommending professor from a list of users. In Event Registration workflow, the workflow creator can enter an email address to be one of the Document Owner. How to create or initiate a new document? Copyright © 2016 Rethink Workflow, Inc.. Simple theme. Powered by Blogger.